Commissioners Christine Kafando of Burkina Faso and Dr Idrissa Ba of Senegal will visit Conakry on 5 and 6 August 2015. 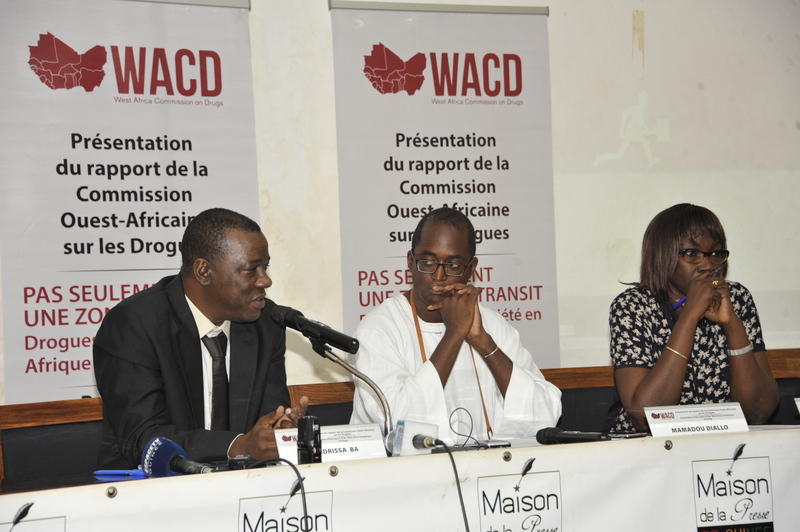 The Commissioners will share the key finding of the Commission’s report Not Just in Transit: Drugs, the State and Society in West Africa with officials, members of the press and with civil society at large. The press briefing will take place on Thursday 6 August, from 11.00 to 13.00 at the Maison de la Presse de Guinée in Moussoudougou, Coléah. Deeply concerned by the growing threats of drug trafficking and consumption in West Africa, Kofi Annan, Chair of the Kofi Annan Foundation and former Secretary-General of the United Nations, convened the West Africa Commission on Drugs (WACD) in January 2013. The Commission’s objectives are to mobilise public awareness and political commitment around the challenges posed by drug trafficking; develop evidence based policy recommendations; and promote regional and local capacity and ownership to manage these challenges. Chaired by former President Olusegun Obasanjo of Nigeria, the Commission comprises a diverse group of West Africans from the worlds of politics, civil society, health, security and the judiciary. The Commission is an independent body and can therefore speak with impartiality and directness. Its report is the culmination of one and a half years of engagement by the Commission with national, regional and international parties including the African Union (AU), the Economic Community of West African States (ECOWAS) and the United Nations Office on Drugs and Crime (UNODC). It is informed by a series of background papers, drafted by leading experts from Africa and beyond.